I surprised myself by enjoying Bungie’s Destiny Beta more and more as I dived deeper into it. I started to “get” MMOs for probably the first time, in fact. I’ve often looked on furrow-browed at people who apparently enjoy spending a full evening shaving individual pixels off a big dragon’s health bar. But I got sucked right into Destiny’s three-person Strike mission: at least 20 minutes of wearing down a gigantic Devil Walker tank-beast, ducking down behind masonry shuddering with the impact of the monster’s plasma cannon, and rushing into the open, teeth gritted and fingers crossed, to revive dead teammates and blast the Fallen trying to flank us. But being me meant that in between actually pointing and firing guns at things like I was supposed to, I kept getting distracted by little details. Like the map screen, which is a thing of beauty. 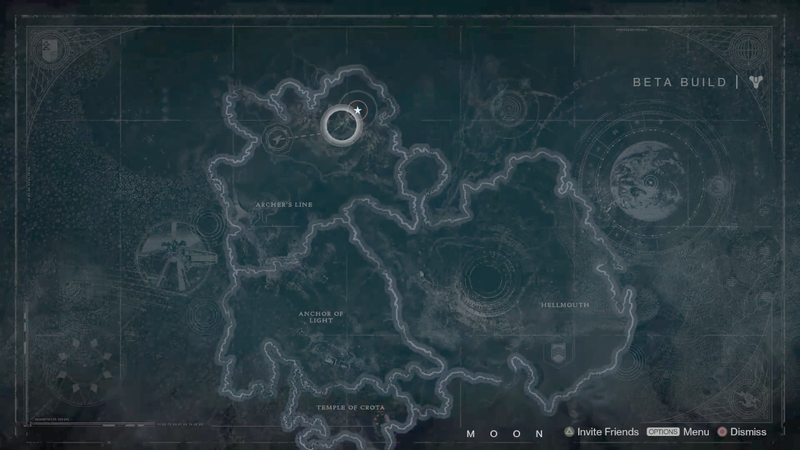 Destiny’s map screens seem inspired by world maps from the 16th century onwards, with thick land outlines and intricate pencil-style drawings and geometric doodles around the edges. The intention no doubt is to make you feel that much more of an explorer, as you gaze down at these blueprints from the future. They look great moving too: the screen’s layers parallax scroll as you move your cursor around, which reinforces how captivatingly 2D these maps are in a game set in a vast 3D world. It’s all very fitting from a developer that brought the word “cartographer” from deep in the dictionary into the consciousness of mainstream FPS gamers. 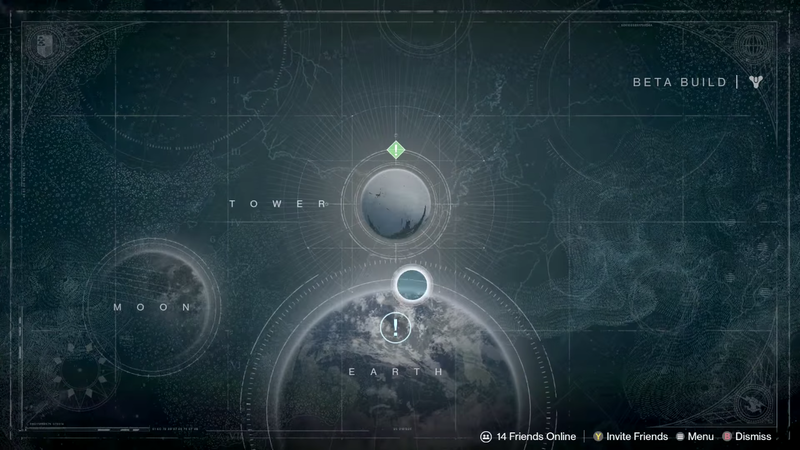 Destiny map screen captures from videos by GhostRobo and TheRelaxingEnd. I booked tickets to the Digital Revolution exhibition at The Barbican Centre before I knew they had this in the first room: towering multiscreen audiovisual retrogame amazingness. If I had known, I’d have brought a camera with better focus control. The exhibition was a strange one: “digital creativity” was the theme, and that essentially amounted to “computers, eh?” — there can’t be many other exhibitions where you’d find Doublefine’s Broken Age sharing the same space as a Fairlight synthesizer and a dress with flashing LEDs on it. But there was a real charm to the strange mix of interactive exhibits. You’d turn a corner and find a video mirror-wall that showed smoke pouring out of your eyes, or be confronted by a giant pseudo-3D will.i.am head with eyes that followed you around the room (no joke). Completely mad, and more than a little bit awe-inspiring. I like to think it’s akin to what attending a World’s Fair was like. But of course, my favourite bit was seeing them throw Manic Miner, Elite, Another World and Parappa the Rapper up onto the big screens. And give us chills with that PlayStation startup sound. 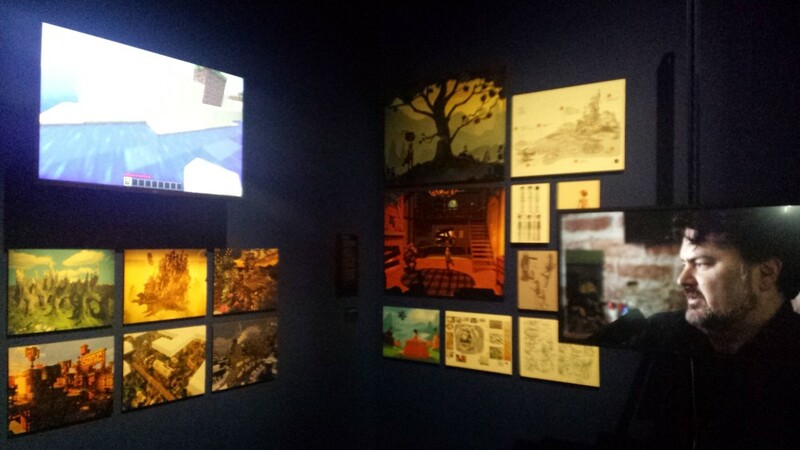 Bonus: here’s a photo of Tim Schafer looking disgusted that the Broken Age exhibit has to share space with another game. I’ve been wanting to write something about Explorer for a long time. The more that contemplative exploration games like Proteus, Dear Esther and Fract become an established thing, the more interesting this little (read: absolutely gigantic) 1986 game seems to become. 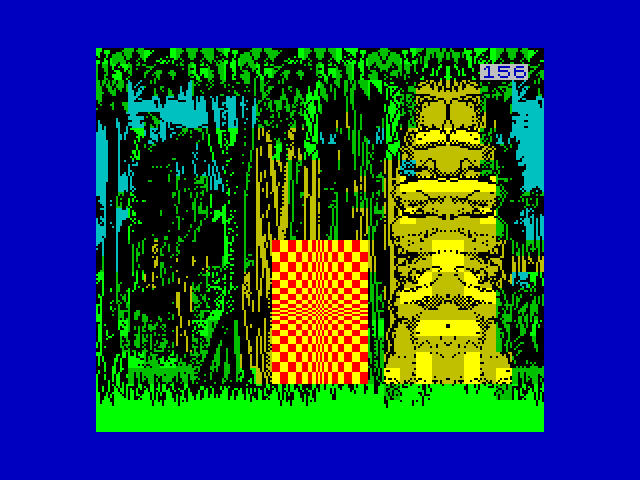 Explorer was created for the ZX Spectrum by UK coders Graham Relf and Simon Dunstan (under the software development wing of George Stone, one of the men behind Max Headroom). The premise is that your spaceship has crash-landed on an alien jungle planet and broken into bits, which have in turn scattered themselves across the entire globe (somehow). You have to explore and find them all. And there’s some serious exploring to do, because the game has 40 billion procedurally-generated “graphic locations” (in the marketing terminology of the time). 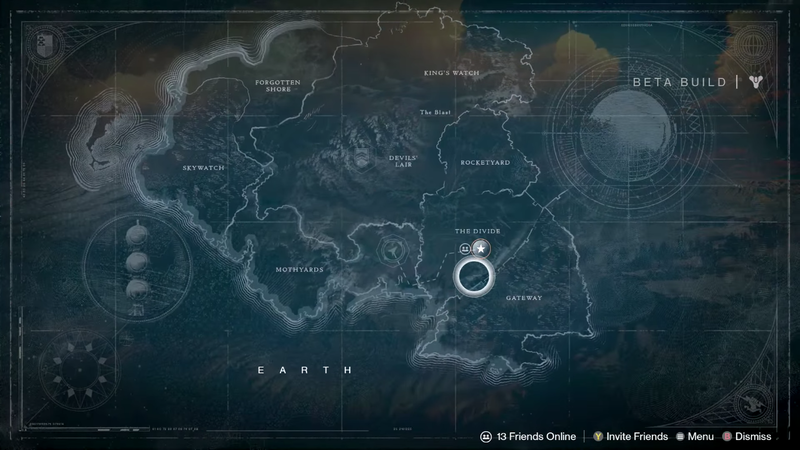 Look at one of those locations, and there’s something interesting about Explorer that’s hiding in plain sight: it’s in first-person. That’s no mean feat for the mid-’80s. It’s all smoke and mirrors, of course: 8-bit computers would have wept actual blood trying to build Explorer’s world in actual full-on 3D. Relf and Dunstan’s ‘Rotovision’ layered flat layer upon flat layer, generating static (and slow to draw) views of your immediate and distant surroundings. The Lords of Midnight had pioneered a similar technique. 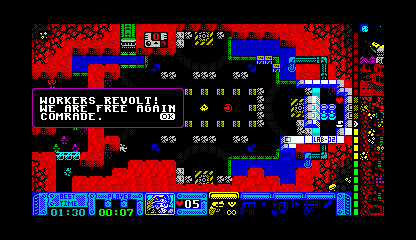 But Explorer didn’t ape the clean, two-colour, comic book style world of Mike Singleton’s masterpiece. 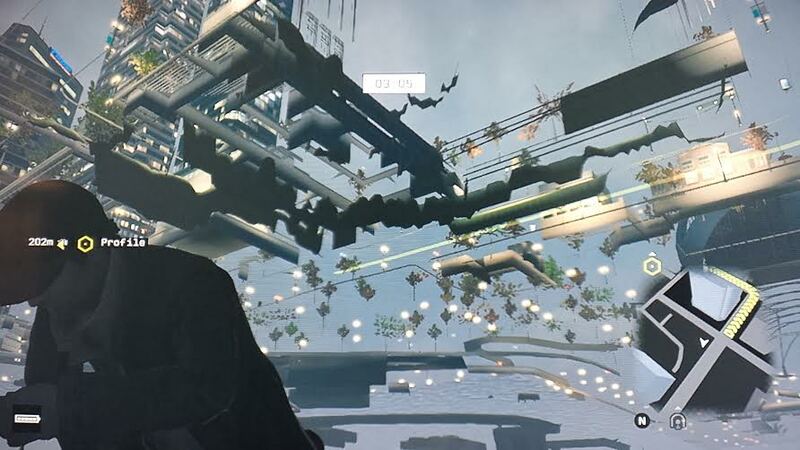 Instead, it took a step towards realistic first-person environments. The impressionist sense of scale and distance was unusual for the time, and even now there’s a painterly quality to the environments and their use of silhouette and shading. 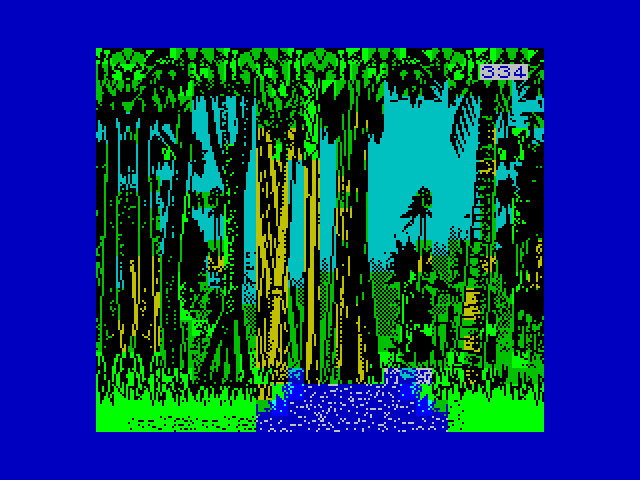 Those trees, in particular, are somehow simultaneously a bit of a mess (mostly thanks to the Spectrum’s colour clash) and surprisingly evocative of a real jungle towering over you. Explorer has a unique atmosphere, heightened by an unerring stillness throughout. Everything in this world is motionless except for the odd pool of water, and behind the dense forest lie hauntingly quiet villages, with strange stone totems towering over huts that have been abandoned by whatever used to live in them. Every so often, you encounter a shimmering warp gate — again, provenance unknown — that you can use to fly to a new area of oppressively empty wilderness. The only action is a sporadic (and clumsily implemented) attack by skittering bugs. All this quiet beauty (a little phrase I’ve borrowed from Samantha Nelson’s very prescient article about World of Warcraft’s ghost cities), coupled with the focus on just walking around and discovering what’s over the horizon, makes Explorer something of a forgotten granddad in the exploration game family tree. 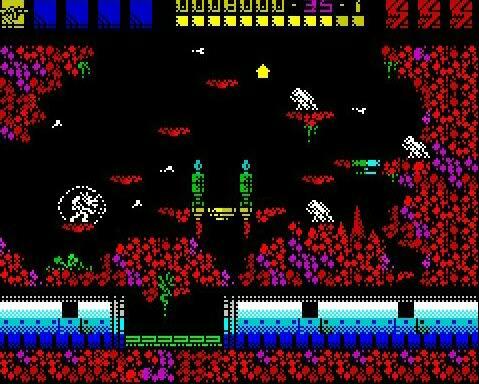 Yes, you could successfully argue that earlier first-person games — Mercenary, The Eidolon — created a similar atmosphere of exploring the unknown. 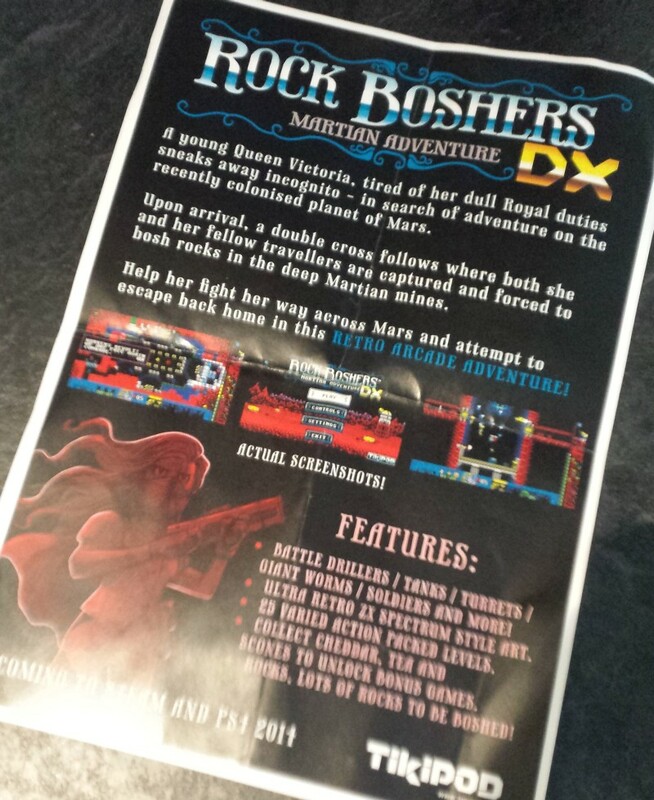 But Relf and Dunstan’s game has a much deeper connection to today’s “walking simulators” (and by the way, I love Ed Keys’ point that if we’re going to deride exploration games on those terms, we should just go ahead and call FPSs “face clickers”). Because Explorer was born from a literal walking simulator. Two years before Explorer, Graham created The Forest, first for the TRS-80 and then for the Spectrum. 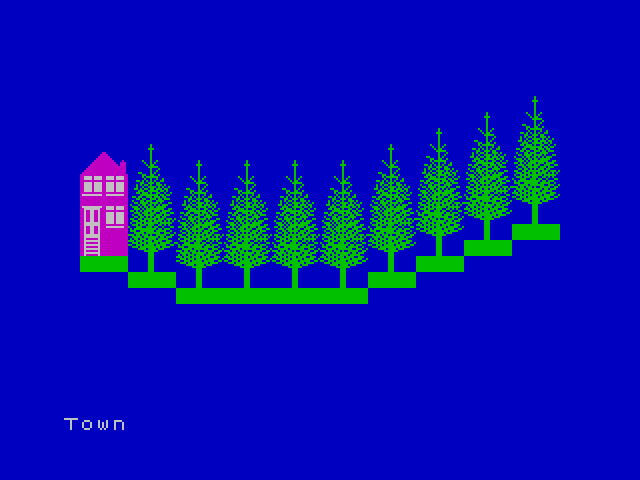 It’s a game proudly described on its title screen as “a simulation of orienteering” — Graham created a full OS-style map for it — and it was probably the only 8-bit game ever deliberately built around the joy of walking. It got a rave review from Crash magazine, too. Explorer was, in Graham’s words, a “less orienteering-oriented version” of the same concept. It’s fascinating to learn of Explorer’s orienteering heritage, then trek forward to today where Proteus is influenced by Ed Key’s childhood walks in the Wiltshire countryside and has a trailer filmed in the Lake District. It’s just a shame that Explorer is, essentially, empty. There’s no reward for exploring — no puzzles like Myst, no story like Dear Esther, no enchanting you with colours and sounds and wondrous sights like Proteus. The eerieness of Explorer’s nameless planet, the empty buildings clearly once built and inhabited by something, suggest the beginnings of a mystery — but it’s actually the beginning and the end. There’s nothing to uncover. Just nine bits of spaceship and 39,999,999,991 empty locations. [It] really does defy categorisation. 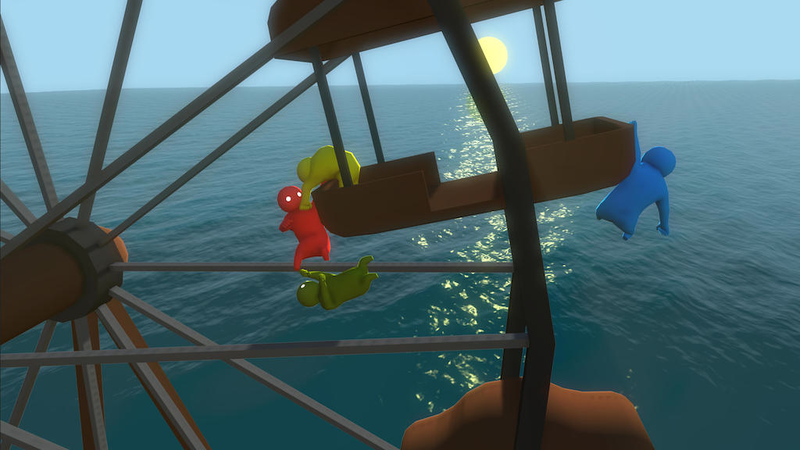 It’s not an adventure, it’s certainly not an arcade game, and it’s too surreal to be a strategy game. If Explorer had incorporated text adventure elements — probably the most fitting option in the era it was made — I suspect it’d have got better reviews, and moved it into the family tree of Myst (a game that both Proteus and Fract have often been compared to). 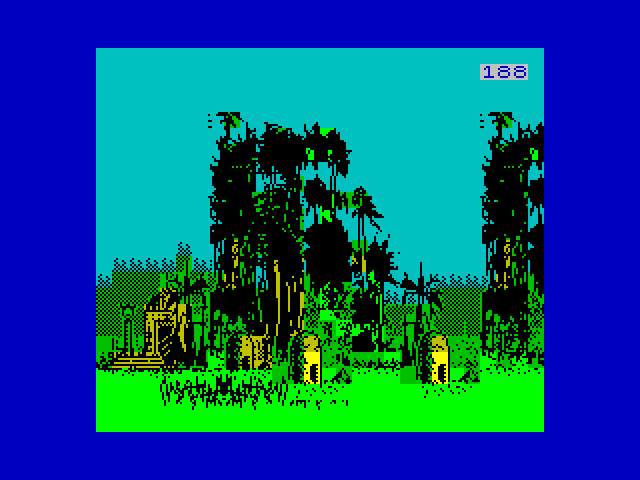 And in fact, Explorer’s sketchbook look, and the lack of on-screen indicators and counters, lends it a similar atmosphere to ’80s graphic text adventures, which also often sent you alone into a foreboding forest or jungle (I’m reminded of the early stages of Activision’s 1985 adventure Mindshadow in particular). Walking is one of the nicest things one can do on this planet. Very worthy of simulation. I’ve been in touch with Graham for this blog post — and after I contacted him, he’s started busily building a new version of The Forest in HTML! You can view the progress for yourself on Graham’s website. I bet “outside the level” glitches in games are already being done to death by a thousand Tumblr feeds. But they always fascinate me. 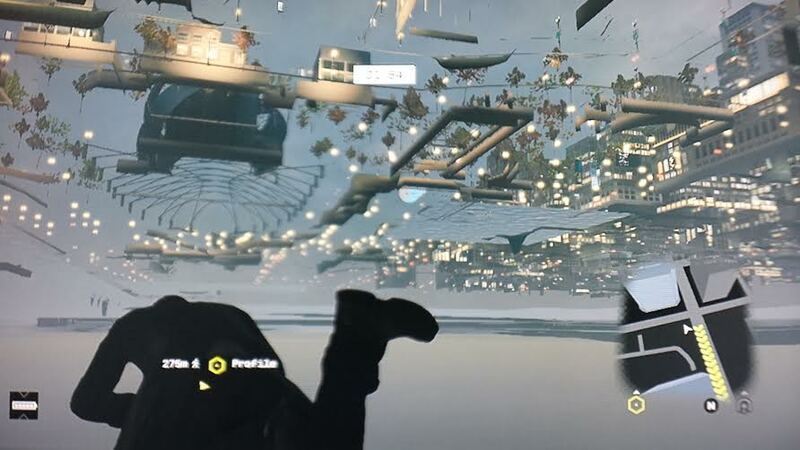 The video below is from a bug that happened to me during an Online Tailing mission in Watch_Dogs. Aiden’s stuck underground, and Chicago is transformed into a glittering city of the future, complete with flying car headlights. It’s strangely beautiful. A couple of bonus screenshots, seeing as I only captured 6 seconds of video for some reason.